No. Bed sores are preventable–with proper screening, early detection, and staff involvement. The development of bed sores in nursing home patients is more a reflection of poor nursing care than an inevitable part of the aging process. 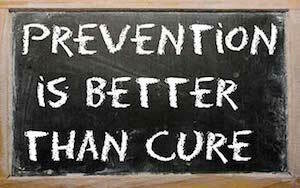 Bed sores will likely develop if the facility does not make bed sore prevention a top priority. In the case of nursing homes, an assessment of each resident’s needs must be completed on admission and on a regular basis during their stay. Following the assessment, the nursing home should develop a comprehensive care plan that specifies what precautionary measures should be in place. Nursing home patients who have mental or physical health conditions that limit their ability to stand, walk, or even turn themselves in bed should be ‘flagged’ and given necessary intervention to prevent bedsores. Bedridden patients who are incontinent are at high risk of forming bed sores, and require regular clothing and bed sheet changes to keep the resident clean and dry. The nursing home care plan should include considerations to monitor each resident’s hydration, nutrition, and hygiene. The nursing home staff should identify early signs of bed sores and treatments should implemented. Left unattended, bed sores can quickly become infected leading to sepsis, limb amputation and even death. As part of nursing home’s system of bed sore prevention program, nursing home residents (particularly the bed-bound) should be re-positioned every two hours and bathed regularly. Pressure relieving mattresses should be implemented as a preventative measure.